Do you have kids in diapers? What about 2 or more kids in diapers in different sizes? We did at one time and it was crazy expensive. 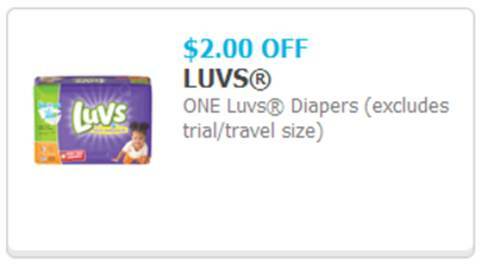 Right now if you use Ibotta and purchase Luvs, you can receive a $5 rebate! There is also a coupon for $2.00 off! Luvs offers a money back guarantee, if you are not happy for any reason. no, I do not. I save by using coupons with sales. I do not use iBotta. I like to try and save by buying online, using coupons in store. Yes, I use Ibotta, great savings! I also use coupons and match with sales items to get the best savings. I haven't tried it yet. I look for sales to save. I don't currently use Ibotta. I just downloaded the Ibotta app and have only used it once. I have joined Ibotta but have not downloaded the app yet but need to. I use Ibotta and I really like this app because it saves me money! No, I don't currently use this app, but it definitely interests me! I love to save money by clipping coupons from the Sunday paper. Yes I currently use Ibotta.. it saves me a lot of money. I do not currently use it. I have not tried Ibotta yet, but I would like to. I usually look online for coupons before I go shopping. I use Ibotta on mostly grocery items. I love it! No, I just heard about the ibotta! I save by price matching and occasionally using coupons! I do not use Ibotta. I save money with physical coupons. I am new to Ibotta. But I use other apps to save money. I do use Ibotta and have saved a lot on groceries. I use paper coupons, but this app looks useful. I haven't used it yet but am going to. I clip coupons constantly and use my rewards bucks! No, I don't currently use Ibotta. I like to save money by using coupons in store and online. Also, online, I like to use Ebates where they pay me to shop. 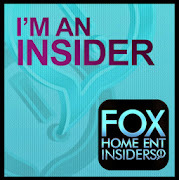 I don't currently use the app but I will start because its fantastic.. I always clip coupons and price match to get savings. I use ibotta with manufacturer coupons also. I do not use Ibotta but it sounds like it is a good way to save more money. Yes! I use Ibotta most of the time I go shopping. I also use manufacture's coupons and in-store offers. Thanks for the chance to win such ana amazing giveaway. I love using ibotta! I like that it can be used even if you use a coupon. I've never used Ibotta before, but it sounds great! Yes, I use Ibotta. I like to stack their deals with store coupons. I LOVE the ibotta app!!! It's a must when im planning my weekly shopping :-) I cash out right before Christmas and use that money for gifts!! I've never used Ibotta but I try to save money by price checking and using coupons. I haven't used it yet, but I definitely will. I've got 2 in diapers so every little bit helps! I'm always using coupons and browsing sales for the best deals. I use Ibotta when I remember to upload. Sooooo frustrating when I find a receipt and it's too late to redeem. I've never used Ibotta but I will check it out! I started using Ibotta about 2 weeks ago and have already saved over $7 - I love it! I am planning to sign up for Ibotta soon and currently save money by using coupons and trading unused coupons with family and friends!